Has your mailbox been approved by the Postmaster General? Do you know what it takes for your box to be approved? You might want take a look at this particular box, just in case, because THIS box has been approved. If you didn’t notice, it says so right under “U. S. Mail” on the box. For specifics regarding mailboxes, see THIS PAGE. 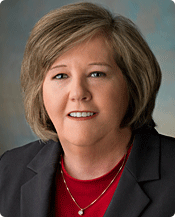 The current Postmaster General is Megan J. Brennan, who was appointed in February, 2015. Below is information about Megan which I found here. Appointed by the Governors of the Postal Service, Brennan began her tenure as Postmaster General in February 2015. In the prior four years, Brennan served as Chief Operating Officer and Executive Vice President of the Postal Service, and held prior roles as Vice President of both the Eastern Area and Northeast Area Operations. Brennan began her 29-year Postal Service career as a Letter Carrier in Lancaster, Pennsylvania. Brennan’s core focus is to advance transformative strategies to invest in the future of the Postal Service, and shape growth opportunities for the organization and the industries it serves. These strategies encompass better use of data and technology, speed the pace of product and service innovations, continue process improvements throughout the organization, and fully engage and leverage the talents of the organization’s 600,000 employee workforce.